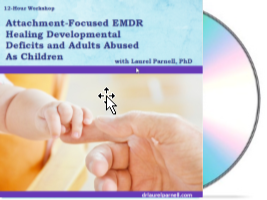 Attachment-Focused EMDR - Laurel Parnell, Ph.D.
Clients who have experienced childhood traumas which have impacted their capacity to form close emotional relationships in adulthood require adjustments to the procedural steps of EMDR. These relational traumas include physical or sexual abuse, neglect, early losses, birth or medical trauma, caregiver disconnection, and vicarious trauma. For EMDR therapists to succeed with this population, they need an advanced understanding of EMDR that includes an attachment-repair orientation. Based on material from Dr. Parnell’s book, Attachment-Focused EMDR: Healing Relational Trauma, this workshop presents practical information to encourage the creative use of EMDR with these clients. Through lecture, case examples, and video demos, you will learn how to integrate an attachment-repair orientation into EMDR treatment. You will receive instructions to obtain CEs and EMDRIA credits when you complete your purchase. Note: this workshop is not a substitute for EMDR Basic Training. You should have already completed a basic training in EMDR before making use of the approach taught in this workshop. For many traumatized clients, attachment repair is a critically important component of successful treatment. Over the last two decades, Attachment-Focused EMDR has emerged as one of the most powerful clinical tools available to effectively and efficiently help trauma therapists improve their therapeutic outcomes. Through 7 powerful sessions, Dr. Parnell will teach you how to modify traditional EMDR protocols to use with your most difficult and challenging clients. Centered around videos of actual client sessions conducted by Dr. Parnell, you’ll be able to experience, not just hear, how to apply Attachment-Focused EMDR to your trauma treatment approach. Session 1 lays the groundwork for Attachment-Focused EMDR and details what is needed from you, as an EMDR therapist, to repair your client’s attachment wounds. In this session, Dr. Parnell outlines the steps to effectively install the 4 most important resources a client must have to process their traumatic memories. Watch Dr. Parnell use these steps in an in-session video demonstration with a client. Building on your new resource installation skills and understanding of the 4 most important attachment repair resources, Session 3 covers alternative resources that clients may develop. These include creating new parents, utilizing love resources and the right way to use the therapist as a resource. You’ll also get valuable techniques to help prepare your clients for treatment. 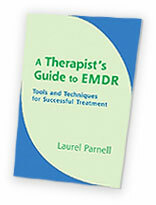 How does an EMDR therapist manage challenging clinical situations? This session gets into strategies and steps to modify the standard EMDR protocol. Through demonstration videos and discussion, you’ll learn the 5 benefits of the modified EMDR protocol. 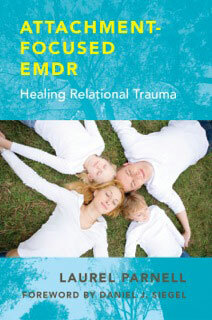 Explore how and why you should adapt the standard EMDR protocol for clients with attachment wounds. In this session, you’ll master techniques to get through the most challenging parts of EMDR therapy. You’ll receive 4 ways to integrate an attachment focus into the desensitization, installation, closure and re-evaluation phases of EMDR. Gain valuable strategies to successfully use the bridging technique. Through in-session video demonstrations and discussion, Dr. Parnell will teach interweave strategies and show you the right way to close an EMDR session so your clients can fully process their memories and leave the session at peace.